Calendars, magnets, bags, wearables – these are just a few of the overused promotional products that promoters often turn to. There is one item, however, that thousands of marketers are using for its proven, repeat performance – that item is the customized USB flash drive. When marketers, small businesses, or large corporations decide to create a custom flash drive, there’s one service provider the keep coming back to, CustomUSB. As the industry’s leading USB creators, CustomUSB has long-standing relationships with specialized vendors, and access to unique services that other promotional product manufacturers simply don’t offer. We are a one-stop USB shop. We design, engineer, manufacture, package, and even distribute custom USBs directly to your customers. We work with clients in a variety of industries: from music to education, to health care, to direct mail, and everything in between. Our clients can choose color printing or laser engraving to feature their logo or brand name on a custom flash drive; or, they can Go BIG, and design a completely unique custom USB of any shape and size, in a variety of materials. But, we are more than just a USB manufacturer. Our expertise extends far beyond our mastery of all things USB. We can produce custom mobile chargers, earbuds, and much more. Our clients can choose to incorporate data services or government-grade encryption on a pre-loaded USB flash drive, Smart Package, Smart Business Card, Smart Postcard or Flyer. Our customer service exceeds clients’ expectations every step of the way. We guarantee fast delivery, easy work processes, 3D renderings, and physical prototypes – ensuring that you get the best product possible with minimal road bumps. We’ve worked with big wigs like Google, Tiffany Co, Taco Bell, Mazda, Bentley, Motorola, and Mattel; yet, we provide even our smallest business clients with the same level of stellar customer service and design. We can create exact replicas of licensed products. We’ve manufactured custom USBs in the shape of guitars, fish, bullets, pistols, handbags, boats, planes, trains, automobiles and more. We offer more than just printed logos, or color matched products. Our team can reverse engineer components, develop unique mechanisms, and build multi-functional, high-tech, high-end gadgets which your prospects will love, and hold on to for years to come. Our high-quality work is proven; we’ve partnered with HBO to produce a series of exclusive custom flash drives for the Award Winning fantasy drama Game of Thrones, as well as True Blood. Our products have been featured in nationally renowned magazines like Martha Stewart Weddings. We have proven time and time again, that no one in the industry can come close to our level of design and engineering. Don’t work with just any custom USB manufacturer, Work with the best. 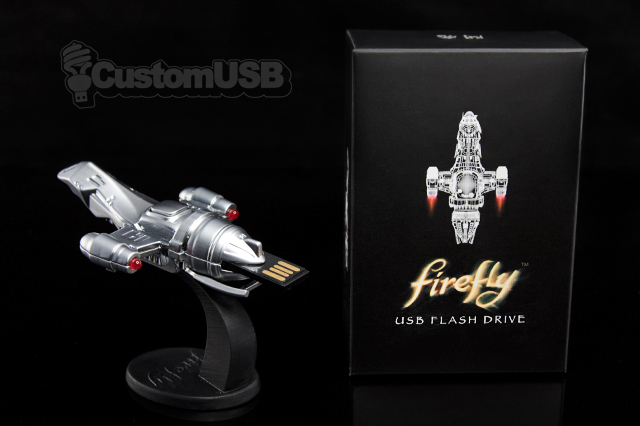 The innovative pioneers of customized flash drives at CustomUSB are standing by to help you fulfill your next promotional product order. Like the tens of thousands of marketers before you, we promise you’ll experience unparalleled customer service and unmatched design and creative services. Just give us a call today!